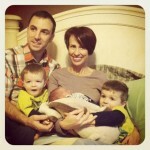 Brookhaven Birth Center made possible the family-centered, empowering, and peaceful birth experience I’d hoped for. Misty and her staff were a joy to work with. I’d enthusiastically recommend them to anyone wanting mother-and-baby-friendly care for their healthy pregnancy, birth, and postpartum recovery! What a valuable asset to our community! At the end of my labor (though I didn’t know or believe it was the end) I was SO TIRED I wanted to give up today, go to bed, and try the whole thing again tomorrow. Having stories of confidence in the Brookhaven midwives in my head , and as a second-timer with Brookhaven, I noticed that they were ready to catch a baby…wearing gloves! Misty whispered to my 3-year old, “Here, hold this blanket. It’s your job to give it to us when the baby’s born.” “Hmm”, I thought, “they appear to think I’m having a baby, and they appear to think it will happen soon.” I trusted that they knew what there were doing and had one last shred of hope and courage to keep going. The baby was born within a few minutes!!! I came full circle during my care at Brookhaven. I’ve known for a long time that I wanted to birth with a midwife & preferred to stay out of the hospital. However, when I was pregnant I became focused on tests and the possibility of complications. In my line of work as a Nurse Practitioner its what we’re taught about birth- not about what a positive birth experience we should strive for. Eventually we opened up & brought all our concerns to Misty & she coached us through them. Then, I could move on & look forward to labor & birth. We had a quick labor-it was quite an adventure, but I never felt scared or out of control-it felt do-able & calm. I got the sense that it all happened how my baby boy wanted to be born. Even though Misty & (a student) delivered me, (the other midwife) made an appearance after to help out. It was a sacred time for us & after being a conflicted patient-based on our experience, I am a convert! and would encourage others to make this part of their journey. Thanks. We sing your praises to anyone when the topic is brought up. We will definitely use y’all again when we decide to have our next child. It was truly amazing to experience another birth and be blessed with a healthy little boy! We stand in awe and wonder! Thank you from the bottom of our hearts to all you dear folks at Brookhaven for everything…love, care, support, and hard work. I would like to say how much I appreciate the care that I received at Brookhaven! The prenatal visits gave ample time for questions, and the midwives were so informative! I absolutely loved the calm, peaceful atmosphere of Brookhaven. 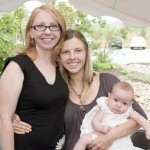 I had a great experience there, and definitely recommend this Birth Center! Being able to say that I had my first baby un-medicated, at home, in a pool, is the greatest accomplishment of my life! My experience was absolutely wonderful and I am extremely grateful to have bee able to have this opportunity. I had my doubts and reservations about VBAC (Vaginal Birth After Cesarean) out-of-hospital. But I am so glad I gave it a try at Brookhaven, where I felt comfortable, respected, and well cared for. 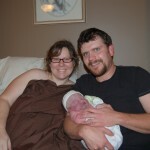 Thanks so much for helping me experience a natural birth! Just a big thank you to all the midwives and student midwives for all you do at any hour of the day or night. You truly are extraordinary people. Thanks to Brookhaven my journey to becoming a mom was so special! The midwives were all so accommodating, I grew close to each one and will dearly miss our appointments. Thank you for the support during labor, you definitely changed my perspective on birth and encouraged me to have more natural births! Basically, you all are just amazing! I hope to get to come back and for round three at some point in the semi-distant future! 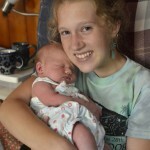 I couldn’t be more thrilled with my birth experiences. I am so glad that I chose Brookhaven to be the place where I had my baby. I feel so blessed to have an amazing and awesome labor and birth. Misty and Peggy helped me stay calm and was very reassuring, they made sure I stayed hydrated and encouraged me to snack to keep my strength up. I am so thankful to Misty, her staff and Peggy for helping me to have a wonderful birthing experience and fond memories that I will have for the rest of my life. I will definitely return for the birth of my next child! I would like to thank everyone at Brookhaven for making our birth experience positive. I liked that Misty doesn’t use “scare tactics” and makes pregnancy seem like the natural thing that it is. I most appreciated the privilege for my body to do exactly what it needed to and also for the privacy Misty created for my husband and me to experience the labor together. Thanks again for all you did for me over Austins birth. I told my friends that my recent delivery was a wonderful experience and just the fact that I was able to have a VBAC was even more wonderful! I would have ended up in the hospital if it wasn’t for you all. Thank you! I loved how my prenatal care focused on good health and nutrition. 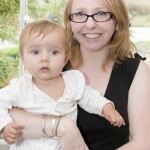 I felt free to discuss any hopes and fears I had for my pregnancy and birth. Overall I loved my labor and birth. 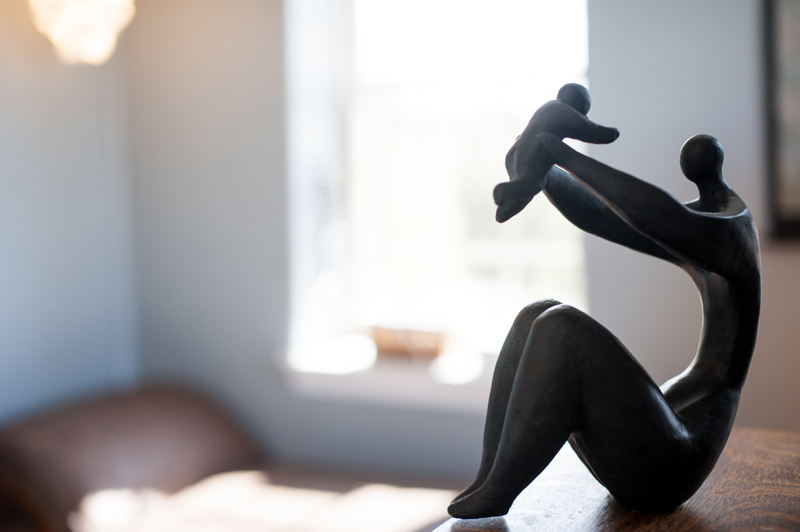 I am left with a powerful feeling and am in awe of the human body and in the art of midwifery. When I signed up to have my baby at Brookhaven it felt like I was joining a family whose goal was to give their very best for me and my baby. I have never been more satisfied with care anywhere. Brookhaven’s service goes above and beyond. I am not-so-secretly hoping my husband changes his mind about having another child so I can come back to Brookhaven! Misty, Heather, and Gina were not only friendly, but answered every question openly and patiently.We were given an hour or more for each visit and enjoyed every moment. The labor and birth turned out to be long and challenging, but we felt well supported and safe throughout. We had the natural birth we hoped for, with a happy healthy baby and mom in the end. Thank you so very much! I wanted to thank you for the confidence that you gave me from day one when I began considering homebirth. 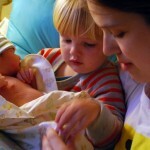 I truly think that because of this, our journey to homebirth and the actual birth went as well as it did. So thank you for having confidence in me! From a larger perspective thank you for your passion for moms and babies. 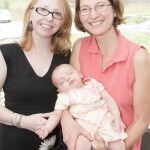 You are helping Harrisonburg have healthier and happier moms and babies. Keep up the good work! Brookhaven gives personal yet professional care in a beautiful setting that makes each visit feel like a “day out”. The decor and art work at the birth center really celebrates pregnancy, birth, and motherhood. It was therapeutic to me to “retreat” to when I had actually gotten a good bit of negativity about “another” baby from friends and family. 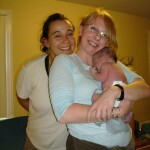 [also therapeutic] was the one-person-to-get-to-know and midwife-as-friend type care. The assistant midwife and office staff are sweet and super too! Misty Ward and her assistants provided me with top notch prenatal care and a stellar homebirth that left me feeling completely empowered as a mother. There was just the right balance between helpful labor suggestions and a calm distance that allowed me to labor in my own way. During the delivery their skilled non-anxious presence gave me the confidence and assurance I needed to persevere to the end, and freed me to feel that sense of joy and accomplishment when I held my baby for the first time. I highly recommend Brookhaven to all expectant moms in the Valley. Misty, Thank you so much for helping us bring Brilea into the world just the way we wanted. You are truly an amazing and wonderful person that has changed our lives forever. I hope that more women can empower themselves to take charge of their bodies and babies to truly experience the real miracle of birth as it should be for mom and baby. I will never forget the moment of lifting Brilea from the water and how alert and peaceful she looked right into my eyes! Or moments later nursing her on the big bed with my other children and husband sitting around us. The water was AMAZING!!!! I can not ever imagine laying in a bed to give birth. My only regret is that my first three girls were not born this way! Misty is everything a great midwife should be. She holds the utmost respect for the power of birth and for the women who are experiencing the journey of motherhood. From the start, I knew she was completely capable of being the exact kind of care provider I needed, and she proved me 100% right. She makes me want to have another baby right away so she can attend the birth! I have nothing but good things to say about her work, and I’d be happy to recommend her to anyone wanting a gentle, empowered birth. My first 5 deliveries occurred in the hospital. After birthing my 6th in the water, I can truly say this was the most amazing and relaxed delivery. I wish I had birthed all of my children at Brookhaven. Even at my “advanced” maternal age, I was always treated respectfully and lovingly. I learned so much during my pre-natal visits that I felt like I was having my first (simply because nobody had explained things to me like that). Having the freedom to labor and deliver my way was such a liberating experience. The whole process was nothing short of amazing. I cannot say enough how much I love you guys and the service you provide for this community! Anytime anyone asks how Leo’s birth was I say, “it was magical and wonderful and far more fulfilling than I could ever have imagined!” Thank you so much for making yourself available to all of us mommies! I hope you can use these photos of Leo for your website..I would be so proud! My experience at Brookhaven was absolutely phenomenal. I knew throughout my pregnancy that I wanted to make choices that were based on what was best for my baby – but sometimes I didn’t know if I could do it. Having Misty as my midwife helped me erase the fear that I felt, feel confident about the road ahead, and have some serious fun along the way. I feel extremely confident in her skills, and couldn’t have asked for a more proficient midwife, especially as we encountered obstacles along the way during labor. Misty and her whole team at Brookhaven made me and my family feel at ease during the whole experience. I know I received the best care out there, from people who really care about the health of babies and mothers – they show it! I honestly can’t wait for the time to come, when I can have Misty help me through another pregnancy and birth!